When I bought my house, which was built in 1939, it was in pretty bad shape. It hadn’t been cared for since the 1970s and badly needed new wiring, plumbing, flooring, windows, sheet rock, and more—not to mention a design overhaul! What attracted me, though, was its possibility. It had fantastic bones—vaulted ceilings and large skylights gave it an open, spacious feel, and original features like an ornate fireplace and cast molding added unique touches I never could have hoped to find in a newer house. I was also thrilled to find beautiful hardwood floors under the stained carpet. 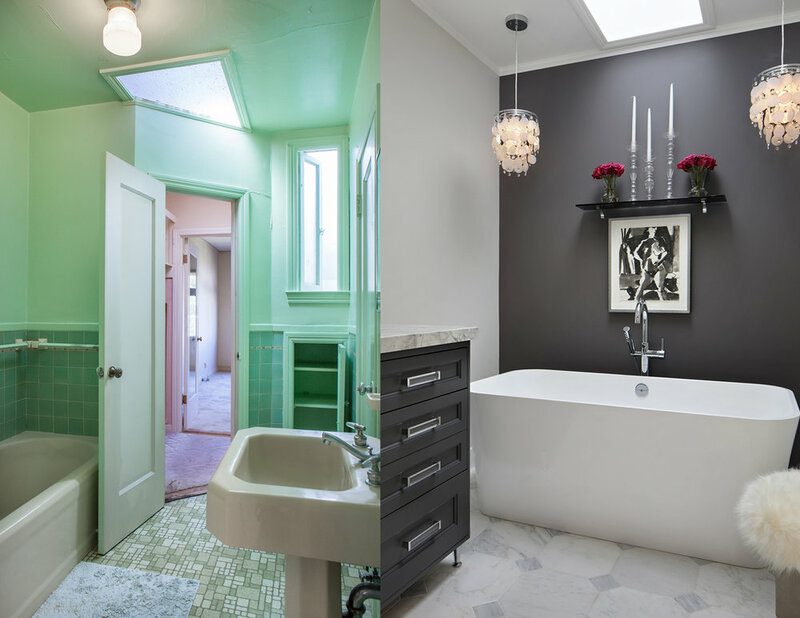 At each step of the renovation process, I made design choices based on what would best complement the house’s original architecture, while still giving it an overall modern feel. To say it was a lot of work would be a big understatement. The kitchen had to be completely gutted—my team and I even moved walls to open up the room and added distinctive features like a custom wrought iron hood made by Colorado-based Living Studio. We also tore out and re-framed the bathroom, enlarging the space by utilizing part of the master closet, and installed a large bathtub and diamond-patterned marble flooring from Walker Zanger. In one guest bedroom, bright natural light and patterned wallpaper provided the ideal backdrop for two striking blue velvet chaise lounges that can expand to create a full size bed. 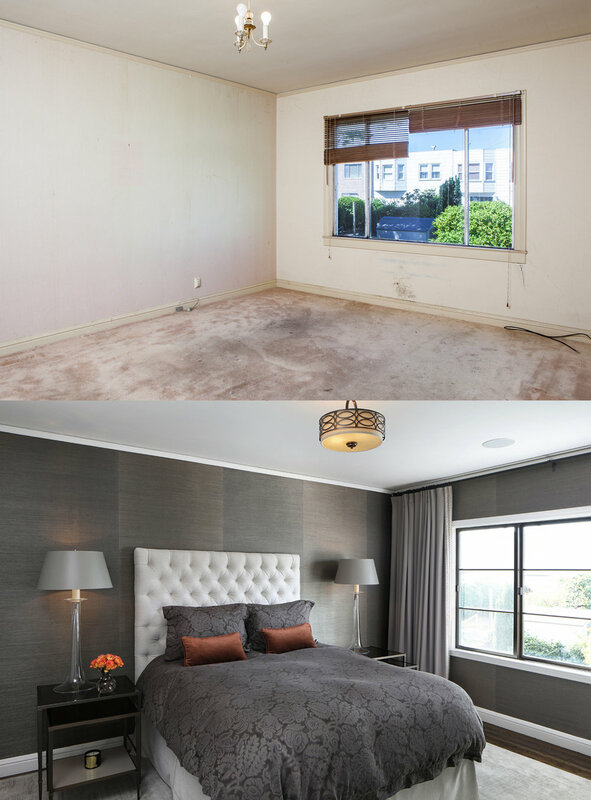 In the master bedroom, by contrast, I used dark wallpaper from Kneedler Fauchere to give the space a moody vibe. The renovation on my house is finally complete, and the finished space is stunning and exactly what I wanted—a bow to the classic elegance of the 1930s with a decidedly modern edge. I couldn’t feel more at home!